related to healthy living, cooking, nutrition, physical activity and leadership. 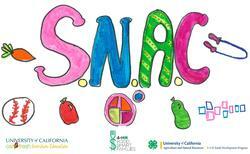 4-H SNAC Youth participate in and lead hands-on lessons and cooking demonstrations. 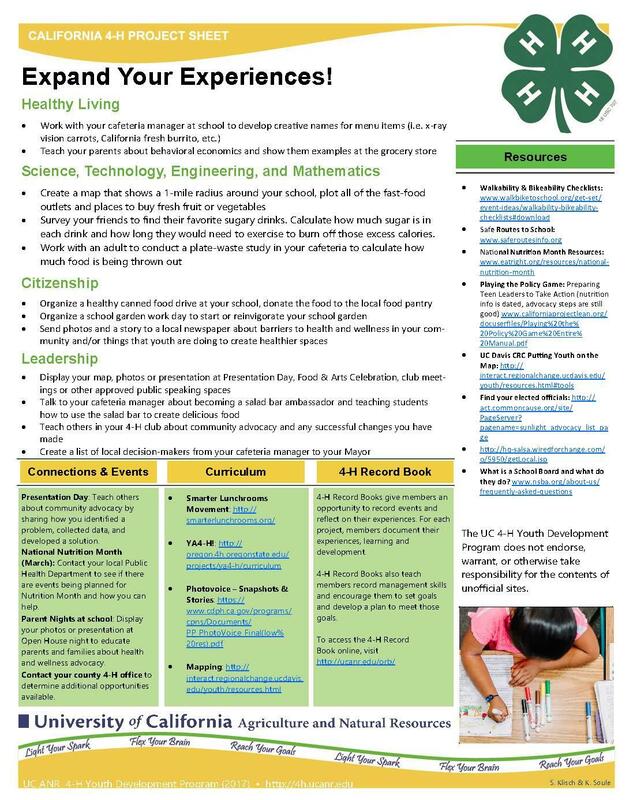 4-H SNAC Clubs are a partnership between 4-H, UC CalFresh, school districts, community-based organizations, families, and volunteers. Projects based on youth interest including a minimum of 6 hours of nutrition education, as well as presentation, leadership, and community service components. 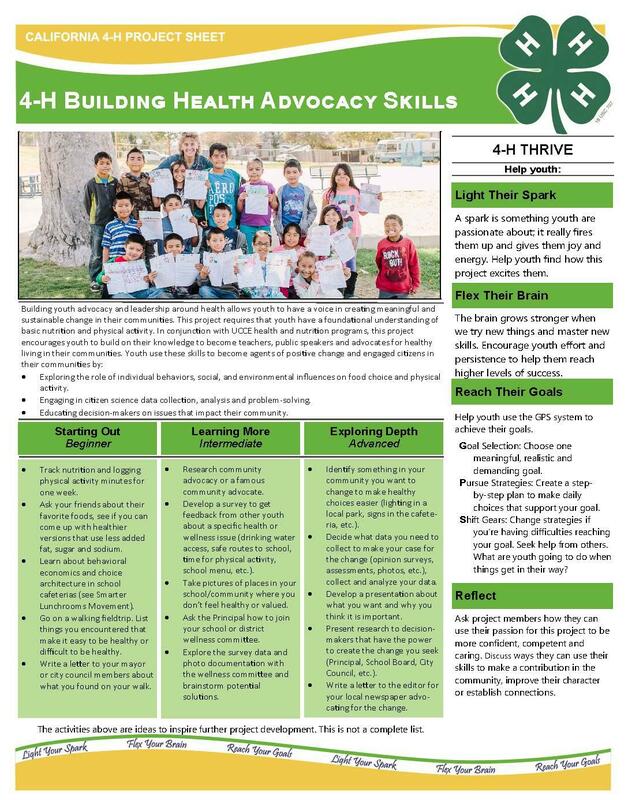 4-H SNAC students practiced their nutrition, culinary and presentation skills this summer by partnering with the SLO County Food Bank to deliver nutrition education services to food bank clients.